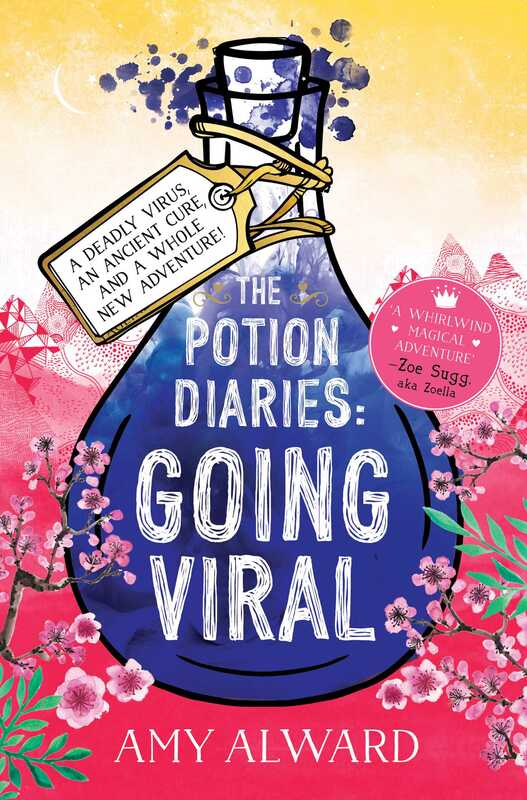 There’s trouble in Nova and the citizens of the kingdom must once again put their faith in Samantha Kemi to save the day in the final novel of the “charming and humorous” (Kirkus Reviews) Potion Diaries series. After the royal tour, Samantha Kemi thought she could take a break from saving the day. Her grandfather Ostanes is healthy, she’s about to be named a Master Alchemist, and Princess Evelyn is happily married to Prince Stefan. Except—Sam has no proof that Evelyn is happily married because she hasn’t seen the princess in days…Prince Stefan is now the public face of the Royal family. Princess Evelyn has gone MIA just when Nova (and Sam) needs her most. A surge of magic is spreading across the country—like a virus—and every Talented person is suddenly more powerful. With the Talenteds getting stronger, Ordinary people begin to worry about an imbalance in the magic streams—and in society. When a group of Talented kids—Sam’s sister Molly Among them—are attacked with a powerful sleeping potion, Prince Stefan is convinced that the Ordinary people are taking a radical stand against Talenteds and reinstates the old ban on traditional alchemy. Now Sam’s hands are tied. Does she trust Nova’s scientists to find a synthetic cure to this curse, or does she break Stefan’s royal decree and use her skills to save her little sister—and possibly all of Nova—from a forever sleep? “ANY NEWS?” HE ASKED, LEANING against the doorframe, his arms folded across his chest. He was worse than Zain when it came to acting like he owned the place. But then, she supposed, he kind of did. Prince Stefan. Her new husband. She wanted to spit out some witty retort, but when she opened her mouth she descended into one of the terrible coughing fits that left her body shaken and tissues covered in a dusting of white powder. They often brought her to her knees. “Just as bad?” he said. She didn’t have the energy to answer. Just as bad. Of course it was just as bad. Didn’t he have eyes to see? She collapsed back down onto her bed, the voluminous duvet enveloping her body like a cocoon. She closed her eyes, unable to remember the last time she had felt this weak. She even felt like her power was waning. She knew she would feel different . . . she had given away half of her Talent to her new husband (dragons, she hated that word) after all. But if anything, it felt like something else was draining her. This virus, this mysterious illness she had, was becoming a serious problem. Stefan had been giving her a pill that seemed to keep the worst of it at bay—he took the same one—but he wouldn’t tell her what the pills were for. She hated being reliant on him. She hadn’t left the palace since Sam’s ceremony that had proclaimed her a Master Alchemist. A familiar wave of guilt washed over the princess as she thought about her friend, Samantha Kemi. Not long after the ceremony, she’d seen Sam on TV. She was being interviewed on a newscast, claiming that Stefan had been the real mastermind behind the bombing of the Laville Ball, and that the person who had taken the blame—Emilia Thoth, Evelyn’s now-deceased evil aunt—had been just a pawn in Stefan’s larger game. Stefan had walked in while she’d been watching the cast and turned it off with a flick of his finger. When Evelyn tried to turn it back on again, the screen remained black. She had meant to confront him about Sam’s accusations, demand he tell her the truth! It was just that this illness was making her so weak, she could barely focus . . .
“Hmm?” She knew what he was saying was important, but she kept drifting in and out of consciousness. “Fight what?” she mumbled. “Do you know why I’m ill? What are the pills for? Why haven’t you told anyone?” She struggled to sit up, wondering when her limbs had turned to lead. Her eyes rolled around in her head, her gaze finally landing on her arm. There was something stuck into it. A syringe. Stefan was injecting her with something. “What are you doing?” she cried. But the words came out muffled and squashed together. She wasn’t even sure that they made any sense. “Wait . . .” She struggled against the pull into sleep, but it dragged her down anyway, aided by Stefan’s hand pressing firmly on her forehead. The last thing she saw before her eyes closed forever was Stefan’s curious-looking tiger-striped eyes staring down at her, and his final words.